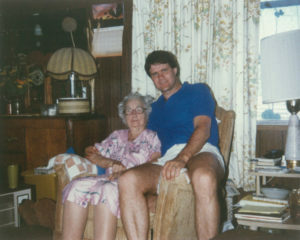 On Feb. 7, 1989, I visited my beloved great-grandmother Bohannan in Spokane, Washington. Her name was Mattie, but our family matriarch was always called “Mama Bohannan.” She had been one of the most important persons in my life, beloved and revered by all family members. She was in ill health – she was 92 – but still sharp as a tack. As I was about to leave, she called me over and grabbed my hand and sat me down on one of the arms of her big chair. “There’s something I’ve been wanting to tell you Mike for a long time,” she said. “I might not be around much longer, so now’s the time. 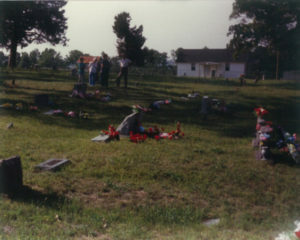 You’re a writer (I was a newspaper editor at that time) and there is a story that needs to be told.” She told me about the Bohannans of Bohannan Mountain, Arkansas. (She had married one of them – Arthur Nolan – my great-grandfather who had passed away in 1981.) She didn’t relay many details, but she told me that these Bohannans, before and during the Civil War, secretly hid escaped slaves and nursed them back to good health, then got them off on their way toward Canada and freedom. She said that she’d often thought about this bit of Bohannan family history, but never talked about it because, she confessed, she was prejudiced herself growing up. But, she said, it is a story that should be told because, she said, as far as she knew only a few people knew about it and those who did didn’t talk about it. “If you can, go back there, to Bohannan Mountain, and see if you can find out more about it and maybe you can write something about it.” I was overwhelmed by what she’d told me and promised myself I would follow up on it. Just one week later, on Feb. 14, 1989 (fittingly, Valentine’s Day) Mama Bohannan passed away. I walked out into the cemetery and a couple came up behind me and asked what I was doing there. When I told them my story, and that I was the great-grandson of Arthur Nolan Bohannan, they immediately said they were my cousins and, they said, everything that your great-grandmother told you is true. These dear people, who I would become fast friends with over the years, were Norma (Bohannan) Chancellor and her husband Harrell Chancellor. (Norma lives in Huntsville, but Harrell passed away a few years ago.) On this trip, and on ones that would follow, they told me the entire story about the Underground Railroad and we also walked the walk – traipsing all over Northwest Arkansas together. I had become a journalism professor at Pepperdine University by the early 1990s, so I could have used all the information about the Bohannan story to write academic journal articles or publish it in similar type publications. But the more I thought about it, the more I knew that wouldn’t be right. I wanted as many people as possible to read this story and be moved and perhaps even inspired by it, so I decided to try to bring it alive by writing a series of novels instead, “based on a true story,” and use an Epilogue, like Gore Vidal did when he wrote the novel “Lincoln,” to clarify real people and composite characters. I wanted to write in the style of my all-time favorite author, Herman Wouk, (“Winds of War” and “War and Remembrance”). That’s how it all began . . . That’s the Back Story. How did the first novel in this series become “Crockett’s Coin,” a story set in Tennessee, not Arkansas? It was truly amazing! I returned many times to traipse through The Hills and did lots of research at libraries like the one at Middle Tennessee State University in Murfreesboro, trying to piece together Henderson and Winnie’s story from the time they were born until they moved to Arkansas in the 1830s. I met so many interesting people wandering The Hills around Sparta and Cookeville, the area of the three rivers there – The Falling Water, the Calfkiller, and the Caney Fork, and west to Murfreesboro. I listened to many family stories and tales that had been passed down through the ages. Many Bohannons still live in the area – just check the area phone books and you’ll see what I mean! 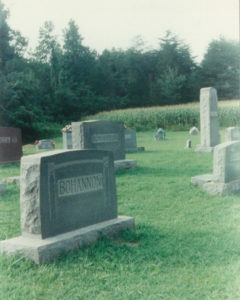 There are Bohannans/Bohannons in many of the old cemeteries in the area – in this photo you can see a Bohannan headstone and see the forest and the cornfield in the background, a typical scene there. Because of the War of 1812 connection (Other than the New Madrid Earthquakes, the war was the most important event during the time Henderson and Winnie were growing up in Tennessee), I eventually travelled again – to Falls Church, Virginia, and Minor’s Hill, for a date with President James Madison. But that’s a story for another time … stay tuned in the Crockett’s Coin chatrooms. This entry is primarily for the Bohannon Family genealogists and keepers of family history – to explain how I settled on how to portray Henderson’s mother and father in “Crockett’s Coin.” Yes, genealogically speaking, there is a bit of family controversy around this point. The truth might never be known. From researching numerous census and other family records, and giving weight to the Arkansas Bohannan family’s version, I had to make a decision. First, there is no doubt that Henderson’s mother is Sukie Bohannan. 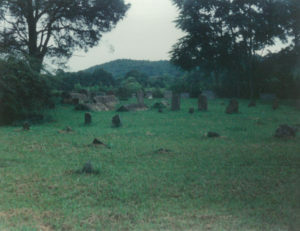 It is the same Sukie Bohannan listed in the Tennessee and later Arkansas census records. The question is, was she the daughter or daughter-in-law of William Bohannon Sr. (“Papa Bo”). She was, in fact, charged with having base born children and one record indicates she was not married, at least at the time of that particular census. In some records she is listed as the 14th child of William Bohannon Sr. (“Papa Bo”), but in other census accounts she is listed as just residing in their home (that’s how they recorded the census – who lived in each household, no matter their relationship, which can make it very confusing (Don’t believe everything you receive from those Ancestry search sites!) because so many family members from different generations, some with the exact same name, lived together in the same households. Meanwhile, the Arkansas descendants of Henderson believe Henderson’s father is definitely one of William Bohannon Sr.’s sons and that his mother, Sukie Bohannan, was William Bohannan Sr.’s daughter-in-law and, they believed, came from Northern Virginia originally (which sparked the idea for the Minor’s Hill tie-in). My decision was influenced by my desire to fictionally make Sukie the adopted daughter of the Minors of Falls Church. Once I decided to do that, Red Bohannan kind of became a composite of William Bohannan Sr.’s many sons. So, in “Crockett’s Coin,” Henderson’s father is Red Bohannon (William Bohannon Sr.’s son) and his mother is Sukie Bohannon (Red’s unrelated wife).